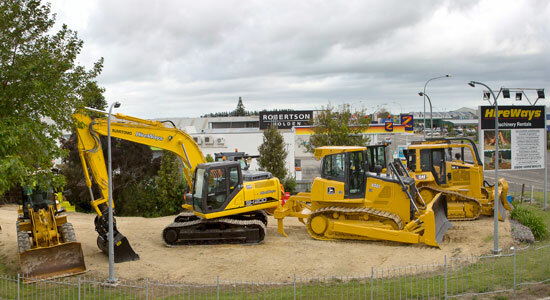 If you don’t know too much about us, we are a family owned & operated company servicing the lower North Island and wider. We have a sound understanding of what New Zealanders need due to our experience in the field, and you could call us veterans. Any job is the right size for us and we supply everyone from nationwide contractors to farmers, builders and local tradesmen. Our wide range of equipment that is kept in top shape to meet the varying needs of all our customers. We are continually progressing to stay at the top of the game, because we know times are changing. More than ever, it’s all about service. We have a reputation that shouts ‘best customer service’ and we aim to keep that title and beat our own records. You be the judge. What matters the most is that the price is fair, and that the ongoing costs are minimal…which is why we make sure our equipment is always well maintained and up to date so you can just get on with your project worry free. To promote with integrity the rental of equipment to meet the requirements of our customers. To provide the equipment that is most suited to local and national conditions, and in a rental ready condition that our hirers would be pleased to operate and proud to own. To ensure that the equipment meets regulations and legislation appropriate to its use, and is good value. To responsibly provide a recognizable lead in the hire industry in service to our customers, being pro-active in safety, training, quality, professionalism, ethics and credibility. To enhance the conditions and well-being of our staff with the view to mutual congeniality towards our customers and suppliers. To support responsible growth with respected contribution to the communities we serve. 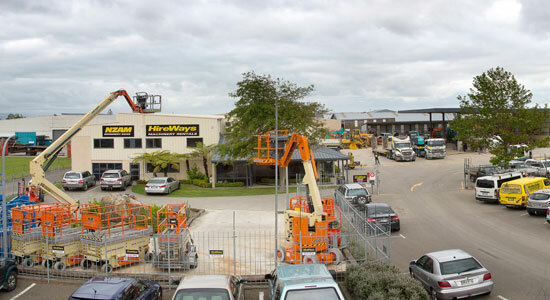 NZAM is a sister company to Hireways Ltd and specializes in sales of new and used machinery. For any machinery sales enquiries please call 0800 000 465.